The City Attorney is appointed by the City Commission and is responsible for providing general legal advice to the City Commission, City Manager, and other administrative staff. The City Clerk's office is responsible for records management, preparation of the City Commission meeting agendas and minutes, legal advertising and administration of municipal elections. Any Indian Rocks Beach resident who desires to serve on any of the City's advisory boards, such as the Board of Adjustments and Appeals, Finance & Budget Review Committee or the Planning & Zoning/LPA Board, may download and complete the Board Application. Once both pages of the application are filled in, the application can be delivered to City Hall in person, or mailed to the City Hall at 1507 Bay Palm Boulevard, Indian Rocks Beach, 33785, to the attention of the City Clerk's Office. Financial services are provided to support all City Departments, and to ensure that all accounting transactions are properly authorized, recorded and reported. Also, responsible for personnel, risk management and data processing. The purpose of this program is to provide general planning services and administration of building permitting, inspections and code enforcement programs. This program provides for many highly technical processes and procedures mandated by Florida Law including: the processing of land use plan amendments: zoning amendments: variance and conditional use requests: intergovernmental coordination: development agreements: vacation of right-of-ways: establishment of new easements: site plan and plat review: preparation and maintenance of the City's Comprehensive Plan and the associated land development regulations necessary to implement the adopted Comprehensive Plan. This program is mandated by State and local laws to provide building permit and inspection services to ensure adherence with adopted codes and standards for the construction of buildings and facilities within the City. This activity safeguards life, health, public welfare and the protection of property. The program helps maintain quality of life by ensuring compliance with minimum housing requirements, the correction of unsafe building conditions, and the adherence with zoning regulations. All IRB Building Department forms and applications may be downloaded, completed, scanned and e-mailed to the City of Indian Rocks Beach Building Department at jjohnstone@irbcity.com. The purpose of this program is to ensure that all city facilities are properly maintained. General maintenance, landscaping, and painting services are provided using in-house personnel. Other services such as janitorial, plumbing, electrical, air conditioning and other trades are contractor-provided. The cost of utilities and security monitoring services are also reported in this program. This program includes the construction and maintenance of City park and recreational facilities. This includes maintenance of the City's beach accesses, Kolb Park, Brown Park, Keegan Claire Park, Chic-A-Si Park and 12th Avenue Park, the Nature Preserve, medians and landscaped areas throughout the City. Also included in this program is the installation and maintenance of playgrounds, tennis courts, basketball courts and other leisure facilities located throughout the City. This program is also responsible for volunteer neighborhood beautification and beach vegetation planting projects. The Parks Division is responsible for the maintenance of over 37 +/- acres of parkland in the City of Indian Rocks Beach. The Parks Division manages all landscapes, streetscapes and hardscapes outside all city facilities. Major operations include: grounds maintenance, hardscape maintenance, special event support, holiday decorations, playground inspection and care, streetscape maintenance, irrigation repair, and landscape design and construction. Where can I park to go to the beach? The City of Indian Rocks Beach has 17 beach accesses sites where residents and visitors alike may park for free between the hours of 6:00 A.M. through 11:00 P.M. - Appropriate signage depicts resident parking versus visitor parking. Additionally, there is paid parking available at the Indian Rocks Beach/Pinellas County Beach Access Park at 1700 Gulf Boulevard. Are there handicap accessible parks (playgrounds) within the City? The City of Indian Rocks Beach has two handicap accessible parks (playgrounds) located at: Kolb Park - (16th Avenue & Bay Palm Boulevard) and 10th Avenue Park - (10th Avenue & Bay Pine Boulevard). What restrictions are there for using the 15th Avenue Boat Ramp? The 15th Avenue Boat Ramp is restricted to use by Indian Rocks Beach residents/property owners only, who have the properly authorized city resident decal permit affixed to the vehicle launching the watercraft. No resident/property owner is allowed to park or use the boat ramp for longer than 30 minutes at one time and are limited to the hours of 8:00 A.M. - 9:00 P.M.
Who is allowed to use the Skate Park? The City of Indian Rocks Beach Skate Park may be utilized by residents/property owners and visitors alike, however anyone under the age of 17 years and non-residents are required to obtain a permit through City Hall, Monday through Friday - 7:30 A.M. - 4:00 P.M.
All skaters are required to wear a helmet. What if/any restriction are there for using the Leash Free Park? The City of Indian Rocks Beach Leash Free Park may be utilized by residents/property owners and visitors alike. Use of this facility is at the residents/property owners and visitors own risk and requires a permit which can be obtained through city Hall, Monday - Friday from 7:30 A.M. - 4:00 P.M.
How do I obtain access to the tennis courts? The City of Indian Rocks Beach has two tennis court locations for residents/property owners and visitors alike. The Kolb Park tennis courts (which are lighted) may be used by residents/property owners and visitors and the Brown Park tennis courts are restricted to use by residents/property owners only. Access keys are available at City Hall (free of charge) Monday through Friday, 7:30 A.M. - 4:00 P.M.
Where do you obtain the equipment for the shuffle board courts? Residents/property owners and visitors may obtain the shuffle board equipment through the Public Services Department (free of charge) Monday through Friday, 7:00 A.M. - 3:30 P.M.
Can I use and/or reserve the City's picnic pavilions or gazebo? The City of Indian Rocks Beach has multiple picnic pavilions and gazebo's located throughout the City. Use of the facilities are non-exclusive daily, however the facilities may be reserved through the City Manager's office at 727-595-2517 ( Special Occasions ). The City of Indian Rocks Beach does not prohibit weddings on the beach however, if more that 50 people are in attendance, a Temporary Use/Event Permit must be approved by the City Manager's office at 727-595-2517 ( Special Occasions ). Public Services Director Scharmen is pleased to report that on May 7, 2007 the City was notified that Public Services Department, Parks Lead Worker, Willie Furrow successfully completed all requirements necessary to become a National Recreation and Park Association Certified Playgrond Safety Inspector. The certification course included training/testing in the areas of: Foundation & Injury Statistics, Hazard Identification, Applied Exercises in use of Probes and Gauges, Safety Surfacing and Use Zones, Accessibility, Safety	Management, Applied Exercises in Hazard Identification, Prioritization & Reduction, Applied Exercise in Playground Investigation, Playground Safety Milieu, Child Development, Foundation of Playground Safety Surfacing, Playground Infrastructure: Equipment, Playground Layout and Design and Playground Safety Practices/Management. The certification was provided through the Florida Recreation and Park Association, Incorporated. The purpose of this program is to manage and supervise the City's Public Works, Solid Waste, and Sanitary Operations. The program is responsible for maintaining City streets and drainage systems in compliance with the National Pollutant Discharge Elimination System (NPDES) permitting requirements, maintain City parks and recreational facilities, maintain City buildings, supervise the provision of commercial and residential solid waste collection services and overseeing the City's sanitary sewer collection system. The Public Services Director also serves as the City's Construction Manager in the planning, design and construction of new City Facilities. Recycling Stations are located at: Kolb Park off of Bay Palm Blvd., Brown Park off of Bay Blvd & 2nd St., Historical House off of 4th Ave. and the Nature Preserve off of Gulf Blvd. Accepted items are aluminum cans, newspapers, and plastic bottles. Save our resources. Please Recycle! This program utilizes two rear loader trucks and one claw truck to provide solid waste collection services for commercial establishments and residences within the City limits. Residential services are provided either at curbside, rear yard or side yard at the option of the resident. Commercial collection services are provided using two, four, or six-yard dumpsters. A recycling program is offered whereby yard waste is collected and recycled separate from household waste. The City also operates recycling centers for the collection of recyclable waste. Other waste items, such as white goods, larger yard debris and other materials are collected at four annual special clean-up days using the City's claw truck. Special pick-ups are also available. The City does not currently offer roll-off service, or the collection of construction debris or hazardous waste. What is included in my solid waste service? Your residential collection includes twice a week garbage collection and once a week yard waste collection. For single-family homes and duplexes, garbage is collected twice weekly - either Monday and Thursday or Tuesday and Friday, depending on the location of your home. All yard waste is picked up on Wednesday's as long as it is placed at the curb. When is bagged yard waste picked up? The City of Indian Rocks Beach does not recycle bagged yard waste due to safety and contamination concerns. All bagged yard waste needs to be placed at the curb and will be removed on your scheduled pick up day. Where should I place my yard waste? Please place yard waste within 2 feet of the curb, however at least 5 feet away from any mailboxes, telephone poles or other obstructions. The City of Indian Rocks Beach requires homeowners to utilize a container (garbage can) with a lid of not less than ten gallons and not more than 32 gallons in size. The City of Indian Rocks Beach offers year yard pick up service, however should you desire containers may be placed curbside after 7 p.m. the day before your collection, and they must be removed from the curb by 7 p.m. on your collection day. How do I fill my (garbage) container? Do not let anything stick out from the top of the container. Cut long objects to fit in the container. Do not place objects on the lid or next to the container that are not to be disposed of. Do not place heavy items in the container. Do not place any types of paint and/or chemical in your container. Do not place TVs or computer components in your container, as many contain hazardous waste. Please contact the City of Indian Rocks Beach Public Services Department 727-595-6889 for proper disposal instructions. How can I dispose of large, bulky items such as furniture or large appliances? As a City of Indian Rocks Beach resident, you will receive four free curbside pickups each year in the months of February, May, August & November. For more information on bulk item collection, please contact the City of Indian Rocks Beach Public Services Department 727-595-6889. What service must be used for construction, building and renovation projects? What items cannot be picked up? To protect the environment and ensure the safety of our residents, the City of Indian Rocks Beach Public Services Department does not accept household hazardous waste for curbside collection. These items include solvents, paints, auto fluids and household/pool chemicals. As an alternative, the City of Indian Rocks Beach Public Services Department hosts an annual household electronic and chemical mobile collections each year. For more information on household chemical collection, please contact the City of Indian Rocks Beach Public Services Department 727-595-6889. Do you collect on holidays? In order to allow our Solid Waste staff an opportunity to spend holidays with their families, there are certain holidays on which the City of Indian Rocks Beach Public Services Department 727-595-6889 does not have collection. If the holiday is on a Monday, then your regular Monday collection will be on Tuesday, and regular Tuesday collection will be on Wednesday. If the holiday is on a Tuesday, then your regular Tuesday collection will be on Wednesday. If the holiday is on a Thursday, then your regular Thursday collection will be on Wednesday. If the holiday is on a Friday, then your regular Friday collection will be on Thursday, and regular Thursday collection will be on Wednesday. Mulch is available free of charge at the City of Indian Rocks Beach Public Services Department 727-595-6889. Please bring your own shovel and container. For other locations throughout Pinellas County, call 727-464-7500. Read more about free mulch. How are my solid waste fees determined? The Solid Waste Division is an enterprise fund, which means that it is entirely supported by user fees rather than by taxes. Fees are approved by the City of Indian Rocks Beach City Commission, and are established to offset operational costs of collection and recycling. How may I request for a Solid Waste/Recycling speaker for an event? If you would like to have someone speak to your group about solid waste or recycling, please contact the City of Indian Rocks Beach Public Services Department 727-595-6889 and a staff member will contact you to confirm. Who do I contact to have a dead animal removed from the roadway? Please call the City of Indian Rocks Beach Public Services Department 727-595-6889 for removal. Public Services Director Scharmen reports that any premises having a garbage or trash can upon which the proper and required fee has been paid, shall be entitled to the collection of tree limbs, palm fronds or other garden trash of such size or nature as cannot be deposited in a regular trash can, subject to the following terms and conditions. Normal yard waste and trimmings of shrubs or trees are picked up free, when cut in four-foot lengths and when limbs are not more than four inches in diameter and when stacked neatly at the curb. The stack shall not exceed four feet in height and the pile shall not be longer than eight feet. Piles of yard waste and trimmings that are larger than this description, that are randomly piled or that contain remains of full tree removal (i.e., stumps or larger than four-inch-diameter limbs) shall require a call for a special pickup and shall require a charge based on the size of the pickup with a minimum charge of $15.00. The City will supply an employee to measure the pile and provide a written estimate containing the charges for the pickup. The estimate must be paid to the City in advance of the pickup. Such garden trash shall be deposited adjacent to the alley, if the property is served by an alley, at curbside, or in refuse containers if such containers are used by multifamily or commercial establishments. It shall be unlawful for any person to deposit any garden trash upon any lot or premises belonging to another, whether vacant or improved, occupied or unoccupied, or upon any street, plaza or park, or in any of the waters lying within the city. For assistance, please feel free to contact the Public Services Department @ 727/595-6889, Monday through Friday, 7:00 A.M. - 3:30 P.M.
Public Services Director Scharmen reports that the City will collect such items as waste or trash consisting of discarded office equipment, discarded broken furniture, beds, bedsprings, empty cans, small metal parts from minor repair work, and any other items which can be lifted by two men, other than motors, large repair parts and other heavy materials at specific times throughout the year. Where collections of trash of any nature are usually large and abnormal, the City will remove such trash at a nominal fee to be based on the amount of trash involved and the additional cost to the City of such removal. The City will not remove such accumulations of waste consisting of concrete block, bricks and debris from brick or concrete construction, roofing shingles or tile installation, or debris accumulated from land clearing, building, rebuilding or altering of buildings, structures, roads, streets, sidewalks, parkways, or excavations, and such accumulations shall be removed by the owner of the property on which they are located, or by the contractor or other person performing or doing work causing such accumulations. Public Services Director Scharmen is pleased to report that on May 8, 2007 the City was notified that Public Services Department, Solid Waste Supervisor, Calvin Warren successfully completed all requirements necessary to become a Solid Waste Association of North America Certified Managing Municipal Solid Waste Collections. The certification course included training/testing in the areas of: Understanding the logistics of planning, managing, and operating solid waste and recyclable collection services; outline waste characteristics, service types, equipment, routing and system designs; learning to update practices for handling various materials including residential MSW, traditional recyclables, yard wastes, bulky items, and commercial wastes. The certification was provided through the Solid Waste association of North America. This program provides regular maintenance of roadways, curbs, medians, alleys and sidewalks. This includes the repairing of potholes, roadway repairs due to underground utility failures, and the sweeping of all city streets. This program is also responsible for maintaining all street name, regulatory and information signage in the City. This program also provides storm drainage maintenance including the removal of debris from swales, catch basins, grates and culverts that may cause restriction of water flow, and is also responsible for the inspection and reporting of the condition of storm water drainage system pursuant to National Pollutant Discharge Elimination System (NPDES) requirements. Stormwater is the rainfall that flows over our yards, streets, parking lots, and buildings and either enters the stormdrain system or runs directly into a federal body of water. As stormwater flows over our lawns, driveways and parking lots, it picks up fertilizers, oil, chemicals, grass clippings, litter, pet waste, and anything else in its path. The stormsewer system then transports these pollutants, now in the water, to local lakes and streams, and eventually Tampa Bay or the Gulf of Mexico. Anything that goes into a stormdrain eventually ends up in our waters. States that no pollutants can be allowed to enter the surface waters, the drainage system, or even be disposed of in the right-of-way as roads also lead to stormdrains. Are yard debris, oil or other automotive fluids, sediment, gravel or masonry materials from construction sites, paint or any other chemical. The rule of thumb is, if it isn't clean water, it shouldn't make it to the stormdrain, street, or into any water body. No connection can be made to the stormsewer system to drain pools, plumbing, septic tanks, washing machines, etc. If you think you might have a potential illicit connection on your property, please contact the City of Indian Rocks Beach Public Services Department at 727-595-6889. A determination will be made if the connection is legal. Any illicit discharge or connection is punishable by fines of up to $213.00 per day. Fines range in amount based on the severity of the violation. All businesses should be mindful of their activities which could cause stormwater pollution. Use appropriate sinks or drains to dispose of mop waters, etc. Chemicals should be stored indoors or under an overhang to be protected from rain waters. How to apply for a state stormwater permit? All construction sites must be properly contained to avoid runoff. State Construction permits must be obtained for all sites above 1 acre. How do I report a street light being out ? Should you notice a burned out street light and/or one that is staying on all the times, please contact the City of Indian Rocks Beach Public Services Department at 727-595-6889 with the pole number and/or address. Do I need a permit for driveway improvements ? Who repairs street signs ? Should you notice a missing and/or damaged street sign, please contact the City of Indian Rocks Beach Public Services Department at 727-595-6889. Public Services Director Scharmen reports that the United States Environmental Protection Agency (USEPA), through regulations adopted in 1990 under the National Pollutant Discharge Elimination System (NPDES), required large, medium and small municipalities (including Indian Rocks Beach) to obtain permits for the operation and maintenance of their storm sewer systems where those systems discharge stormwater to the waters of the United States. The regulations required municipalities to demonstrate adequate legal authority to prohibit illicit discharges to our storm sewer systems, provide maps of our storm sewers and outfalls, provide monitoring data showing the quality of runoff from local areas of various land use types, propose a management program that includes control measures to reduce pollutants in runoff, provide a program to detect and remove illicit discharges to our system, provide a program for monitoring compliance and the success of our programs, and provide an accounting of our fiscal resources available for carrying out this program. In April of 1994, The City of Indian Rocks Beach participated along with other cities in Pinellas County in jointly applying for our N.P.D.E.S. 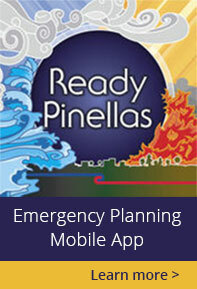 permit through Pinellas County. The Cities, FDOT, and Pinellas County desire to continue to protect and promote the public health, safety and general welfare through the management of stormwater runoff, and to continue the existing relationships and responsibilities for control of discharge to municipal storm sewer systems (MS4) as outlined in 40 C.F.R., Section 122.26. The City of Indian Rocks Beach made a conscious decision, rather than creating new jobs to track and investigate illicit discharges to our storm sewer system, to utilize existing staff to carry this out as part of their normal work. This is where you, as a resident can help. Why are we inspecting for illicit discharges? The City of Indian Rocks beach is basically responsible to ensure that our stormwater discharges do not pollute the waters of the United States. To do this, we have to be able to keep pollutants from being put into our storm sewers. The regulations required that we adopt an ordinance to prohibit illicit discharges. In May 1994, the City of Indian Rocks Beach enacted Ordinance 545 specifically dealing with Stormwater Sewers. Any discharge to the City's storm sewer system not in compliance with that ordinance is considered an illicit discharge. Who will do the inspecting and investigating? The EPA regulations required that we submit our proposed program for managing our storm sewer system. This program was to include our procedures to be followed to locate and investigate potential illicit discharges and to enforce our ordinance. As mentioned above, we made a decision to utilize existing staff to keep an eye out for illicit discharges while they are in the field conducting their normal work. However, the City ahs far to many streets and storm drain inlets for our employees to be in all places at one time, that is why we are asking for your assistance in notifying us when there is a possible illicit discharge suspected. Once a potential problem has been reported, City staff will conduct an investigation and make an informed determination of what to do next. Should you collect samples or other physical evidence? By all means, you should not try and collect samples. In the first place, there is some possibility that an illicit discharge may be toxic or otherwise hazardous. The City of Indian Rocks Beach does not want it's residents taking risks with their health. In the second place, there is an art to taking evidence that will hold up in court, and people trained to collect samples for evidence should do the sampling. If you attempt to do it, you might end up contaminating either the samples or the site. If you see an illicit discharge, report the problem and let trained people take it from there. What should I do if I find a suspected discharge? You should report it to the City of Indian Rocks Beach Public Services Department at 727-595-6889 or the Pinellas County Sheriff's Office at 727-582-6200. They will then decide whether to report it further, and to whom. They will also decide, based on your observation, whether it is an emergency that needs to be stopped right away. How soon do I need to report it? The best thing is to report it right away, especially if it appears to be still in progress. That way if it is something that needs to be stopped right away, someone can get to it before it is too late. What is an illicit discharge? - How do I recognize one? Basically, an illicit discharge is allowing any contaminant to enter into the City of Indian Rocks Beach storm sewer system. The storm sewer system was designed to handle water, so as to prevent flooding, and not as a place to dump or discharge waste. This kind of discharge is sporadic; often occurring at night or on weekends, when the person involved thinks nobody is looking. This kind of discharge is not predictable, and as a result is hard to sample for gathering evidence. This kind of discharge could be toxic since it is often done by businesses trying to get rid of waste without having to do it properly. As a result, you really need to avoid coming in contact with it, or even breathing fumes if it is volatile. Often we need to make a quick decision to respond to this kind of event. If you see it actually occurring, it needs to be reported immediately so proper action can be taken. Later, after it has already happened, it may be too late; the damage may have already been done. It is likely you will not observe this directly, because the people doing it purposely try to do it when they will not be seen. This is not always the case, however; some people just do not realize that the storm sewer carries water to lakes and the bay - they think it goes to the treatment plant. Dumping may not consist of a person emptying a bucket or a drum of waste. It might be a tank truck draining its contents through a hose into a manhole. Sometimes this is legal, septic tank cleaning people may have a permit allowing them to discharge to the sanitary sewer system through a manhole. If I see deliberate dumping should I tell them to stop? People deliberately dumping are breaking the law, and sometimes they know it but do it anyway. You should not take chances by confronting people like this. Report it to the identified contact immediately, and if it needs to be stopped, a Sheriff's Deputy or other law enforcement officer can take steps to stop it. Note: not all of these are considered good practices. It is not a good idea to backwash your swimming pool filter directly into the storm sewer; the chlorine that you put into your pool to kill bacteria will also kill aquatic life. If you wash your car, it is a good idea to do it over your lawn, so the soapy water can be absorbed by the lawn and not run down the street and into the storm sewer system. These activities, while not all good things to do, are exempt from the City of Indian Rocks Beach ordinance, unless we are able to show that such a discharge is really causing significant harm to water quality or aquatic life. It simply was not the intent of the City of Indian Rocks Beach to use the ordinance to try to make people stop washing their cars, etc. The ordinance was intended to deal with large-scale polluters and people committing illicit discharges to the storm sewer system. Through a concerted effort by City staff and residents alike this program will assist in the improvement of water quality and to preserve and enhance the environmental quality of receiving waters of the United States. The City of Indian Rocks Beach appreciates everyone's efforts in this most important issue. Public Services Director Scharmen reports that in maintaining home landscape, residents often do not realize the implications of their maintenance practices on the environment. Misuse of pesticides, herbicides and fertilizers can have a disastrous effect on groundwater resulting in contamination or run-offs into water supplies. Pest problems in the lawn can be minimized by good cultural practices such as minimal fertilizing of your lawn; watering your lawn only when it shows signs of stress; keeping the blades on your lawn mower sharp and cutting only about one inch of the grass blade at any one cutting. If spraying pesticides is necessary, it should be done when the least amount of damage will occur to plants and the natural predators of pests - early morning or late in the evening. Disposal of pesticides/herbicides must be done properly and safely. The City of Indian Rocks Beach Public Services Department - Solid Waste Division asks that you do not place these items in your garbage. Please contact the Pinellas County Household Chemical Collection Center at 727-464-7565 where these products can be safely disposed of.